The plane in question was a Garuda Airlines A330. It had taken off from Sydney at 4.37pm yesterday bound for Jakarta. For three hours everything seemed perfectly normal. All modern aircraft carry highly sophisticated equipment that tells you to the millimetre where exactly the pl... read full description below. The plane in question was a Garuda Airlines A330. It had taken off from Sydney at 4.37pm yesterday bound for Jakarta. For three hours everything seemed perfectly normal. All modern aircraft carry highly sophisticated equipment that tells you to the millimetre where exactly the plane is anywhere in the world, how fast it's flying, how high it is, how much fuel it has, what the passenger in seat 47b had for lunch. In short, they are very hard to lose. But this one had gone. 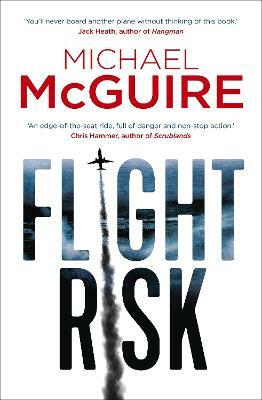 Disgraced former pilot Ted Roberts works for a top-secret government organisation set up to investigate terror-related incidents. Sent to Jakarta to find out as much as he can about the pilot of a vanished Garuda flight, he discovers a flight simulator in the pilot's apartment. When the investigation turns sour, Ted escapes to New York as further disaster strikes. Another plane disappears from the sky. Then another. Three planes and hundreds of passengers and crew, vanished, without a trace. Panic is widespread and the world is teetering on the brink. Still no one has come forward to claim responsibility. At an eerily deserted JFK airport trying to get a flight back home, Ted witnesses a suspicious exchange between an airport cleaner and a nonchalant airline pilot. He follows the pilot to his destination: a Ukraine International Airlines flight, due to leave in an hour. All his instincts tell him that this is the next plane to go down. But what does he do? Take the flight and face almost certain death, or fly back home and watch for the news headlines? He does the unthinkable and gets on the plane.